ADATA introduces another industrial-grade solid state drive – the ADATA ISSS333 SSD. It features a much wider temperature tolerance. 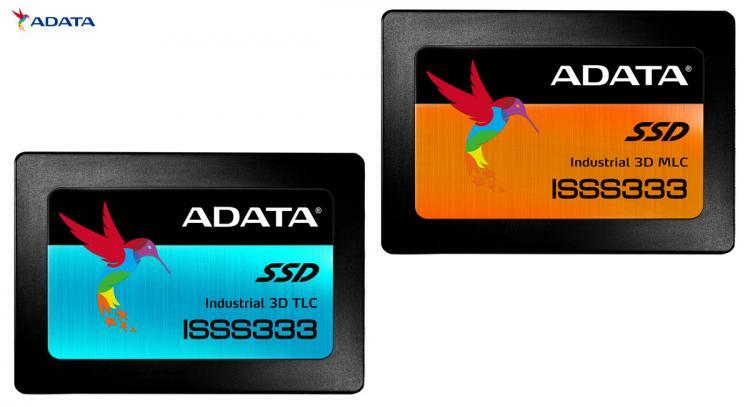 The new ADATA ISSS333 industrial-grade SSD is offered in both 3D MLC and 3D TLC versions offering a different set of features and benefits but offers the same robustness and reliability in terms of shock resistance, vibration resistance and temperature tolerance. The SSD uses SATA III 6 Gbps interface and is available in the standard 2.5-inch drive form factor. Compared to hard drive drives and consumer-class SSDs, the ISSS333 SSD offers speed, power efficiency and greater reliability for a wider scope of applications. The ADATA ISSS333 is ideal in many different applications given that it is also available in a wider range of capacities from 128GB to 1TB. It is specially built to handle harsh environments where non-industrial-grade hardware cannot operate. The MLC variant has a wide temperature tolerance of -40 to 90 degrees Celsius. The ADATA ISSS333 can also operate in extreme humidity conditions as low as 5 to 9%. All models also pass 20G vibration resistance and 1500G/0.5ms shock resistance testing. To top all these endurance and reliability features, the ISSS333 SSD series also boast an MTBF rating of 2 million hours. Benefit from S.M.A.R.T drive diagnostics, monitoring, and reporting for easy maintenance on your SSD.